Ladies and gentlemen boys and girls, Paddington 2 is about to open in cinemas across Australia just before Christmas and we have two wonderful prize packs to giveaway to KidTown Melbourne readers. Paddington 2 is the much-anticipated sequel to the worldwide hit family film finds Paddington happily settled with the Brown family in Windsor Gardens, spreading joy and marmalade wherever he goes. While searching for the perfect present for his beloved Aunt Lucy’s hundredth birthday, Paddington spots a unique pop-up book in Mr. Gruber’s antique shop. But when the book is stolen, it’s up to Paddington and the Browns to unmask the thief… Hugh Grant and Brendan Gleeson join the all-star returning cast, reaching new heights of adventure in cinemas December 21. The KidTown Melbourne crew were lucky enough to catch a preview of this delightful movie and we can honestly say this is the best children's film we've seen in a very long time. Even better than the first, and that's quite special because sequels aren't usually that great! 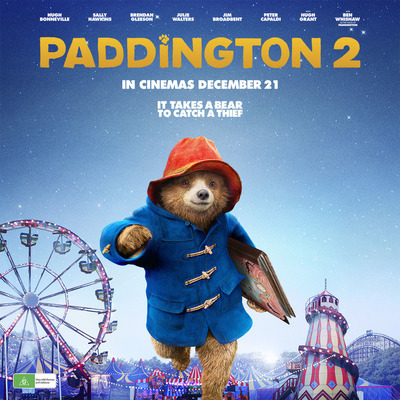 Filled with emotions, beautiful scenes of ol' London Town, quirky characters, Hugh Grant and that beloved bear of course who is such a sweetheart, Paddington 2 is a must-see. Be prepared to shed a tear or two at the end! 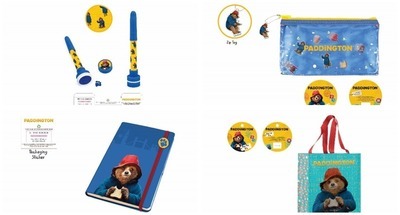 Paddington bag, stamper pen, pencil case and notebook valued at $56.75. To enter, like this post on our Facebook page and tell us why you'd like to win. GIFs encouraged!